How social media is changing the conversation Jean-Michel JanoueixCEO, FranceKantar InsightsJea.. Reaching a generation in turmoil Olivier AuroyManaging DirectorKantar Added ValueOlivier.Auroy@..
Sophie PasturHead of Expertise Brand & Shopper ActivationKantar TNSSophie.Pastur@tns-sofres.comI..
Pierre GomyDirector General Kantar Millward BrownPierre.Gomy@kantarmillwardbrown.comWhile French bra..
Emmanuel Rivière - Chief Executive Officer Kantar PublicGuillaume Caline - Consultant Kantar ..
Marie DolléHead of Content & Digital Kantar MediaMarie.Dolle@kantarmedia.comBrands are in..
Pierre GomyManaging Director Kantar Millward BrownPierre.Gomy@kantarmillwardbrown.comGeneration Z, a..
Florent DepoisierManaging DirectorJ. Walter ThompsonFlorent.Depoisier@jwt.com What if the futur..
Pauline BouigeStrategic Planner, ParisJ. Walter ThompsonPauline.Bouige@jwt.comTraditional luxury is ..
Virgile BrodziakDirector-GeneralJWT ParisVirgile.Brodziak@jwt.com"Health and wellness is the ne..
ActimelCompany: Danone SA Brand value: US$543 millionHeadquarter city: ParisCategory: Food & Dai..
CICCompany: Credit Mutuel-CIC GroupBrand value: US$544 millionHeadquarter city: ParisCategory: Banks..
CitroënCompany: Peugeot SABrand value: US$585 millionHeadquarter city: Rueil MalmaisonInd..
MartellCompany: Pernod Ricard SABrand value: US$633 millionHeadquarter city: CognacIndustry: Alcohol..
Air France-KLMCompany: Air France-KLMBrand value: US$644 millionHeadquarter city: ParisIndustry: Air..
Caisse d’EpargneCompany: Groupe BPCEBrand value: US$823 millionHeadquarter city: ParisCategory..
PerrierCompany: Nestlé SABrand value: US$845 millionHeadquarter city: Issy-les-MoulineauxCate..
L’OccitaneCompany: L’Occitane International SABrand value: US$879 millionHeadquarter cit..
VolvicCompany: Danone SABrand value: US$963 millionHeadquarter city: ParisIndustry: Soft drinksYear ..
ConforamaCompany: Steinhoff International HoldingsBrand value: US$1,043 millionHeadquarter city: Log..
ClarinsCompany: CLARINS SABrand value: US$1,106 millionHeadquarter city: ParisIndustry: Personal Car..
PeugeotCompany: Peugeot SABrand value: US$1,110 millionHeadquarter city: Rueil MalmaisonIndust..
EngieCompany: Engie SABrand value: US$1,187 millionHeadquarter city: ParisIndustry: EnergyYear forme..
La Roche PosayCompany: L’Oreal SABrand value: US$1,195 millionHeadquarter city: ParisCategory:..
Leroy MerlinCompany: Adeo GroupBrand value: US$1,202 millionHeadquarter city: LezennesIndustry: Reta..
RicardCompany: Pernod Ricard SABrand Value: US$1,203 million Headquarters: Sainte-Marthe, Mars..
Crédit Mutuel Company: Crédit Mutuel CIC GroupBrand value: US$1,265 millionHeadquarter..
GivenchyCompany: LVMHBrand value: US$1,480 millionCategory: LuxuryHeadquarter city: Paris ..
Remy MartinCompany: Rémy Cointreau SABrand value: US$1,584 millionHeadquarter city: 1724Categ..
EvianCompany: Groupe DanoneBrand value: US$1,589 millionHeadquarter city: ParisIndustry: Soft drinks..
Veuve ClicquotCompany: LVMHBrand value: US$1,589.2 millionHeadquarter city: ReimsIndustry: AlcoholYe..
EDFCompany: Electricite de France SABrand value: US$1,620 millionHeadquarter city: ParisIndustry: En..
SephoraCompany: LVMH Moet Hennessy Louis Vuitton SEBrand value: US$1,823 millionHeadquarter city: Pa..
DecathlonCompany: DecathlonBrand value: US$1,860 millionHeadquarter city: Villeneuve-d'AscqCateg..
Societe Generale Company: SOCIETE GENERALE SABrand value: US$2,061 millionHeadquarter city: Par..
Credit AgricoleCompany: Crédit Agricole S.A.Brand value: US$2,233 millionHeadquarter city: Pa..
Moët & ChandonCompany: LVMHBrand value: US$2,306 millionHeadquarter city: Épernay In..
Yves Saint LaurentCompany: Kering SABrand value: US$2,690 millionHeadquarter city: ParisCategory: Lu..
DiorCompany: Christian Dior SABrand value: US$2,787 millionHeadquarter city: Paris Category: LuxuryY..
FreeCompany: Iliad SABrand value: US$2,880 millionHeadquarter city: ParisIndustry: Telecom Providers..
ActiviaCompany: Danone SABrand value: US$3,043 millionHeadquarter city: ParisIndustry: Food & Da..
HennessyCompany: Hennessy Louis Vuitton SEBrand value: US$3,335 millionHeadquarter city: Cognac Indu..
Renault Company: Renault SABrand value: US$4,478 millionHeadquarter city:Category: CarsYear formed: ..
Auchan Company: Auchan SABrand value: US$4,785 millionHeadquarter city: CroixIndustry: RetailYear fo..
BNP ParibasCompany: BNP Paribas SABrand value: US$4,964 millionHeadquarter city: ParisCategory: Bank..
TotalCompany: TOTAL SABrand value: US$5,040 millionHeadquarter city: ParisIndustry: Oil & GasYea..
MichelinCompany: Establissements MichelinBrand value: US$6,080 millionHeadquarters: Clermont-Ferrand..
GarnierCompany: L’OréalBrand value: US$6,670 millionHeadquarter city: ParisIndustry: Pe..
CarrefourCompany: Carrefour SABrand value: US$6,836 millionHeadquarter city: Boulogne-BillancourtInd..
AXACompany: AXA SABrand value: US$6,970 millionHeadquarter city: ParisIndustry: InsuranceYear formed..
CartierCompany: Cie Financiere Richemont SABrand value: US$7,086 millionHeadquarter city: ParisIndus..
LancômeCompany: Lancôme ParisBrand value: US$9,715 millionHeadquarter city: ParisIndustr..
SFRCompany: Altice GroupBrand value: US$10,603 millionHeadquarter city: ParisCategory: Telecom Provi..
ChanelCompany: Chanel SABrand value: US$13,394 millionHeadquarter city: ParisIndustry: Luxury Year f..
OrangeCompany: Orange SABrand value: US$17,915 millionHeadquarter city: ParisIndustry: Telecom provi..
GuerlainCompany: LVMHBrand value: US$563 millionCategory: Personal careHeadquarter city: ParisYear f..
AveneCompany: Pierre Fabre SABrand value: US$716 millionHeadquarter city: ParisCategory: Personal Ca..
L’Oreal ParisCompany: L’OréalBrand value: US$24,533 millionHeadquarter city: Pari..
HermesCompany: Hermès International S.ABrand value: US$25,951 millionHeadquarter city: ParisI..
Louis VuittonCompany: LVMHBrand value: US$35,505 millionHeadquarter city: Paris Industry: Luxury Yea..
How millennials are changing everything Alexandre Thomas Associate Director Kanta..
Can data make us blind to insight? Nadine Faure Shopper Marketing Consulta.. The challenges of a third digital revolution Guénaëlle Gault Global Head..
Fabrice Billard Director Brand Strategy Kantar TNS Fabrice.Billard@tns-sofres.c..
Big growth can stem from small opportunities Stéphane Marcel Chief Expertise Officer Kan..
Camille Yvinec Executive Strategy Director, Paris Brand Union Camille.Yvinec@brandunion.com.. It is possible not only to measure the value of French brands, but also to assess the strength of Br..
5 Ways To Grow With 21st Century Brands Pauline d’Albis-DesforgesPlanning Partner, H..
ALL YOU NEED IS LOVE. REALLY ? 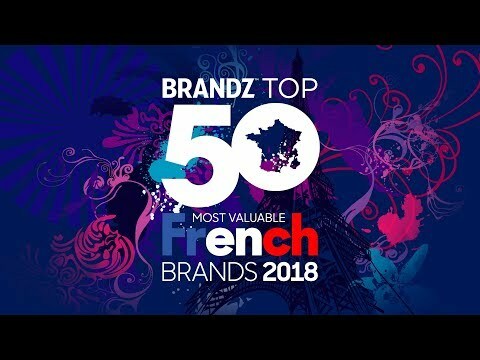 Franck Saëlens VP Head of Strategy Y&R Paris Franck.Saelens@yr.com Dear Br..
From consumer loyalty to loyal brand Lionel GomezHead of StrategyWunderman GroupeLionel.Gomez@w.. The role of emotion in effective adsFrédéric MarvilletExpert Consultant, Brand & S..